This spacious 2 bed/2 bath townhouse is located in a family friendly complex near parks, playgrounds & schools. LOW strata fees! Main floor features spacious kitchen w/ granite countertops, large pantry, eating area & access to balcony. Living & dining rm big enough to seat the entire family w/ cozy fireplace & tons of natural light from large windows. 2pc pwdr rm on main. 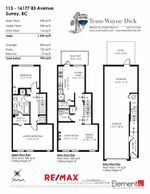 Upstairs, Two bdrms including the master w/ walk-thru closet to large 5 pc 'Jack & Jill' style ensuite w/ double sinks & soaker tub. 2 car parking in garage opens to a fenced yard w/ patio for pets & kids to play! Steps to Walnut Road Elementary, bus stops, restaurants & rec centres. 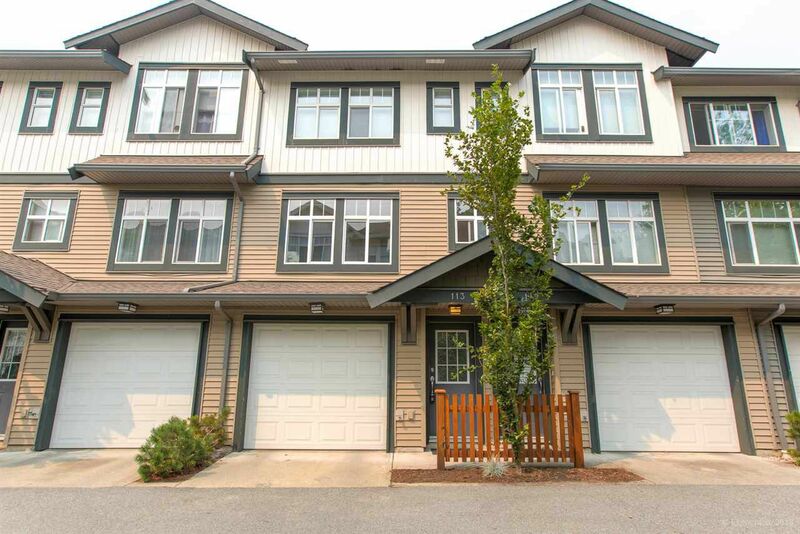 Access to Hwy 1, Fraser Hwy & Guildford Town Centre within a few short blocks.